Clean lines and stark contrasts make up the low-profile design of the Arlo Television Stand. Supporting a flat screen television up to 55″, this stand is ideal for smaller, modern or industrial spaces. Finished in a natural Tan Walnut finish, with the appearance of true wood grain, Arlo brings a rustic appearance into an industrial-chic design. Compatible with a 26″ Dimplex Electric Fireplace, Arlo stunningly displays a traditional or contemporary look with an inner-glow log media bed. 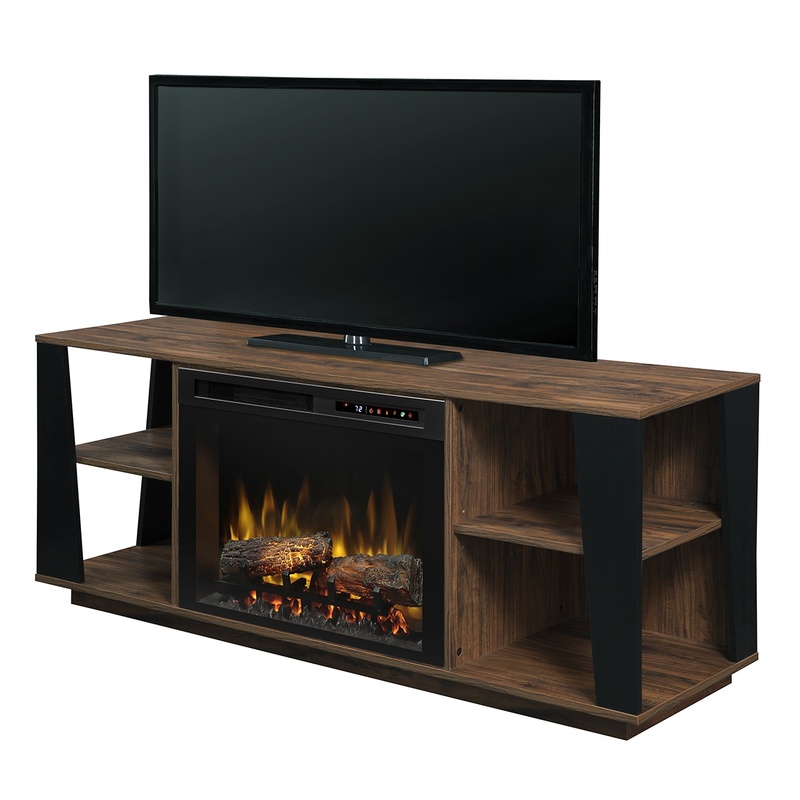 Sporting dual open cabinets, each with a single, adjustable shelf, the Arlo Electric Fireplace has an abundance of space for all your décor or media needs.